“Fishes Dream of Lonely Things” first saw print in the year 2000, in an anthology called Scary Rednecks and Other Inbred Horrors. The book is pretty hard to get hold of these days. Fortunately Weston Ochse has included the story in his audiobook anthology Smoky Mountain Horrors. All of the stories from the anthology are also available to buy separately as an individual download. Ochse narrates all of the Smoky Mountain horror stories himself and I doubt anyone could do it better. 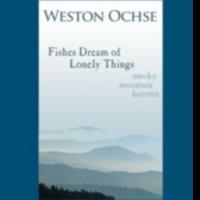 Weston Ochse not only writes great stories, he is also a great storyteller. These are all fun stories, but do you know what? Even if they were dull and dreary tales, I think that Ochse would make them sound fun anyway because the style of his narration is so lighthearted. “Fishes Dream of Lonely Things” has a runtime of about seventeen minutes. The story is about a young boy called Jeffrey. He has been playing X-Box with his friend David, but Jeffrey’s parents are so poor that they cannot afford air-conditioning, and it is just too hot for the boys to spend the entire day indoors; so they decide to go down to the creek. The only problem is that Jeffrey’s mother does not like him playing down near the creek. David reminds Jeffrey though, that his mom has only told him that he should never go swimming there; that does not mean that he cannot stick his feet in the water or wade in the shallows. David’s brilliant logic makes sense to Jeffrey, and both boys are keen to catch a giant lunker or crawdaddy anyway, so they take a couple of fishing poles and head down to the creek. Sometimes moms know best though, and Jeffrey should have taken more notice of his because something nasty awaits him down in the waters of the creek.